The state Department of Energy and Environmental Protection has released a list of bear sightings reported to the department from May 31, 2017 to May 21, 2018. 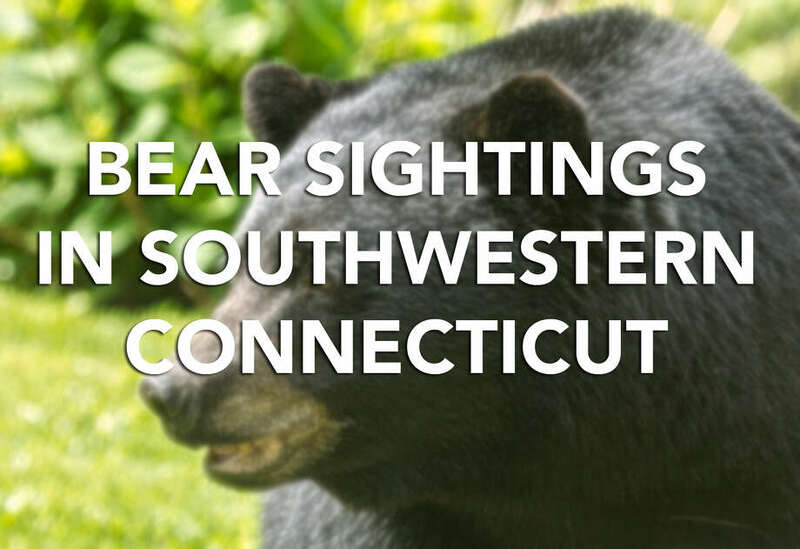 Scroll through for a look at the number of bear sightings in southwestern Connecticut towns during this period. NEW CANAAN — There have been no tiger sightings, but you can add bears to wildlife that can be found in town. A black bear was spotted Wednesday morning on Oenoke Ridge Road, while a mountain lion was seen just a few days earlier. Animal Control Officer Allyson Halm said it was a male black bear. “It is believed that young males wander looking for food and, eventually, its own territory,” Halm said. Halm used an air horn to scare the bear away. Tips on dealing with black bears, and other wildlife, can be found at the Connecticut DEEP website. According to the state Department of Energy and Environmental Protection, Connecticut’s black bear population is healthy,and increasing. In 2016, there were over 6,000 black bear sightings. If a black bear is spotted in a densely populated urban area, call the DEEP Wildlife Division at 860-424-3011 or DEEP dispatch at 860-424-3333. Most black bears, if left alone and given an avenue to escape, will eventually wander back into a more secluded area, according to the DEEP, and they will often climb a tree to avoid people. Bear attacks are rare, and they will usually leave an area once they sense a human nearby.